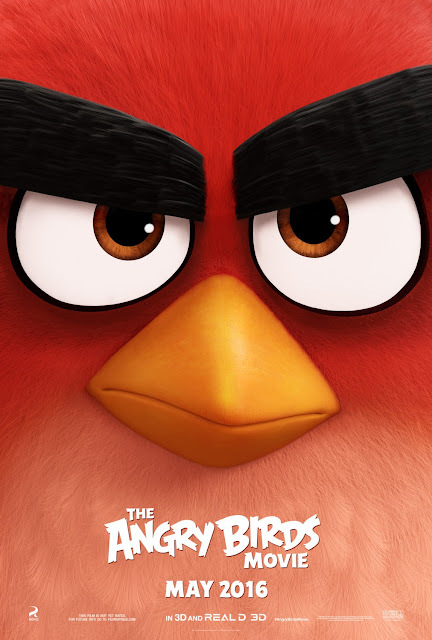 Movie: "The Angry Birds Movie"
Red (Jason Sudeikis) has anger issues, which leads to many conflicts with the happy-go-lucky, life-loving members of his community. When a conflict escalates, Red is forced to attend Angry Birds anger management classes. While undergoing therapy, a ship of pigs lands on the shore of Bird Island. Though most of the birds welcome the newcomers with open arms, Red is suspicious of these foreign pigs. His suspicions turn out to be justified when the pigs steal their eggs. Red must then rally the other birds to get mad and fight back. 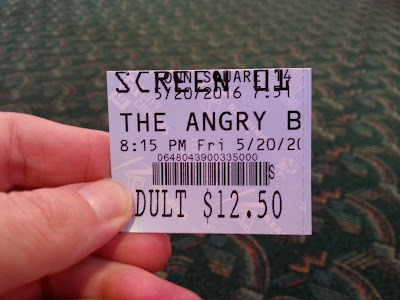 Based on the casual gaming application, "The Angry Birds Movie" joins the very long line of video game to movie adaptations. Unlike most video game movies, which are based on games with actual story lines, the app Angry Birds has almost nothing to work with in terms of plot. It's a game that involves shooting birds at pigs with a giant slingshot and not much else. Unlike most video game adaptations, however, this movie is not terrible. As shocked as we are to say this, and as shocked as you are to read this, we swear to you, it's true. Who thought it would be Angry Birds that would rise above the rest? For a bit of back story, we were not looking forward to this movie at all. We love our fair share of kids movies, even as grown adults who don't have children, but the trailer for this painted a picture we were not the slightest bit interested in seeing. To our great surprise, this is a decent flick. We laughed a lot during "The Angry Birds Movie." It's full of puns and has dialogue laced with innuendo (more on this later), dozens of pop culture references, and even some slapstick humor for good measure. Many of these puns and jokes are swine and avian related because, as we mentioned, the characters here consist of birds and pigs. There were so many, in fact, we felt like we needed a drum kit near by so we could follow the jokes with a rim shot. The voice casting for "Angry Birds" is also quite impressive, and those involved in this project provide some great vocal work. Jason Sudeikis voices main character Red, a bird who has a hard time controlling his temper and is sent to anger management. It is here where Red reluctantly meets his new pals: the fast-talking, constantly and quick-moving Chuck (Josh Gad), the literally explosive Bomb (Danny McBride), and the large grunting fluff-ball named Terence (voiced unexpectedly by Sean Penn). Sudeikis has a superb voice for the sarcastic, jaded Red, who can find something to be angry about in almost any situation. Gad and McBride are also excellent in their respective voice roles. We appreciate when A-list actors do minimalist voice over work like this, so props to Sean Penn for finally finding a sense of humor. Bill Hader, Peter Dinklage, Keegan-Michael Key, and Maya Rudolph are just some of the other names involved in this film. Lastly, the animation is crisp and clean, which makes sense considering the app company Rovio also produced it. This movie isn't without its glaring flaws. The message it delivers is not the best. It sends a message that foreigners are automatically strange just because they're different, and are not to be trusted. Also, no matter how friendly these strangers appear, they really just want to steal and eat your children (if you see the movie, this will make sense). Moreover, it shows the best way to respond to threats is with anger and violence. So, just think of this as the exact opposite of the message you'd find in a Disney movie. That being said, it is just a kids picture, so it probably shouldn't be taken so seriously, though in a world where people seem to be offended by everything, it's good to be aware this is one possible interpretation of the message. Besides, the basic concept of the game is about the birds trying to get their eggs back from the pigs, so it should have been expected. Finally, as a movie clearly marketed to children, we are surprised it has as much blatant sexual innuendo as it does. A lot of kids movies try to keep stuff like this on the down low, but here, there's quite a bit of crude humor. This may hurt its bottom line in the grand scheme of things, but us kidults were not bothered by it. Sure, "The Angry Birds Movie" might be laced with jokes involving bodily humor and innuendo slightly over the culturally accepted kids movie mark, but we enjoyed it. It's much funnier than we would have ever expected. Would we watch it again? Not necessarily. Would we personally own it? Probably not. Is it substantially more entertaining than we thought it would be? You bet, and at the end of the day, that's really all that matters. "The Angry Birds Movie" is directed by Clay Kaytis and Fergal Reilly. It is rated PG for crude humor and mild thematic cartoon violence.